Here is a great post from Frank Smyth, who moderated a few of the panels at last week’s DW Global Media Forum. 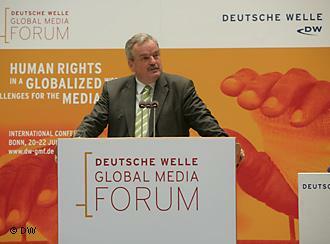 More than 1,600 participants showed up to exchange their ideas on human rights and the media. Another good bunch of articles covering the event can be found on the orangelog – a European Youth Press project. Or check out the wrap-up from WSSCC discussion on water as a human right. 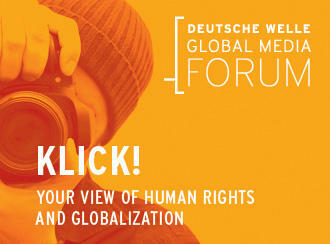 As part of thie year's Deutsche Welle Global Media Forum, DW has organized a photo competition in association with Amnesty International. Internet users and fans now have the opportunity to vote for their favorites and select the 30 finalists – which will be shown at the Global Media Forum in Bonn from June 20-22. "Klick! – Your View of Human Rights and Globalization" was open to professional and hobby photographers from around the world. Go to the Facebook page for the Global Media Forum to vote!